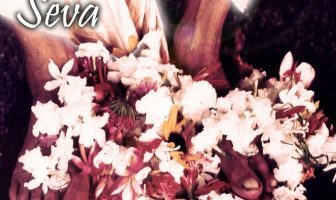 Kali yuga is an ocean of faults but there is ONE good quality of this age which is the chanting of the holy name and it is accompanied by the mercy of Lord Caitanya. The importance of the holy name can never be overestimated. We may sometimes ask, “Which service is the best?” and there are different answers. All forms of pure devotional service are equally transcendental but for conditioned souls, it is difficult to get on the transcendental platform. The senses are merciless; they want more and more from us! In Satya yuga the process of worship is by meditation on the Supreme Lord but now in Kali yuga, we got no power to concentrate! In Treta yuga, the process is sacrifice but now that is too difficult and too much trouble. In the Dvapara yuga, the process is through deity worship but now the standard is lowered. 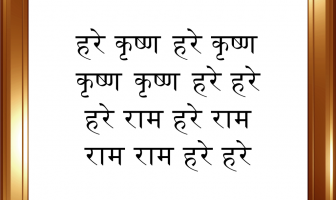 So what is higher… kirtanam (chanting) or smaranam (remembering)? 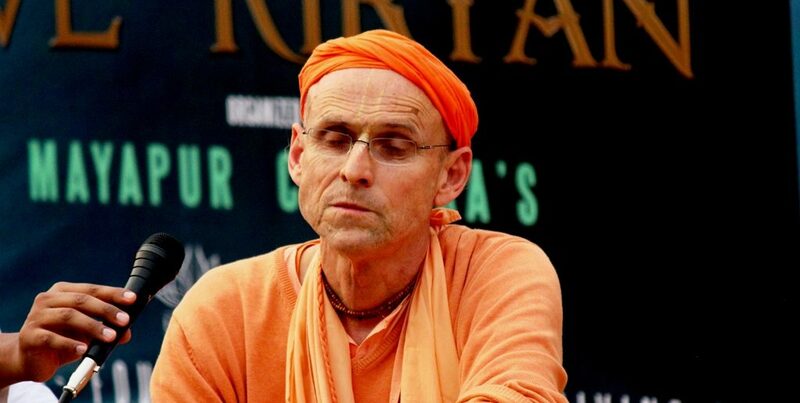 The answer is, in the conditioned state it is KIRTANAM. 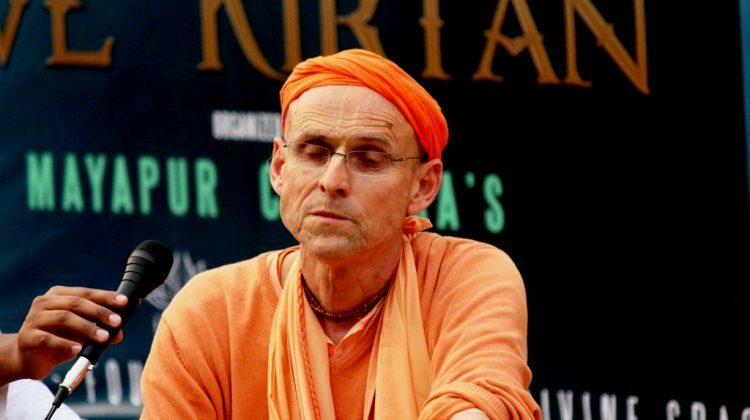 Kirtanam is the higher service. In the transcendental state, it does not matter. Radharani remembered Krsna and then automatically chanted! So we hear and chant about Krsna, and then we remember. 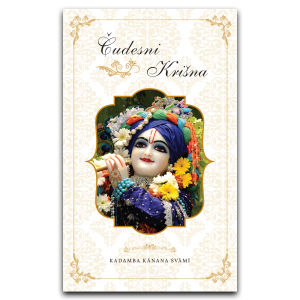 The more we hear about Krsna, the more we begin to understand how he is all attractive and we engage in service. Krsna covers himself from the conditioned souls with the curtain of illusion; devotional service opens the curtain. 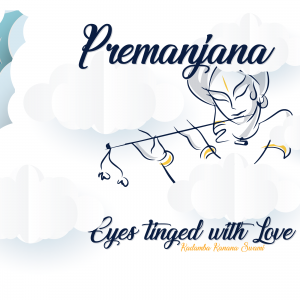 Sravanam (hearing), kirtanam, smaranam are the three principal processes in this age! Through these processes, we become transformed. But there is another dimension still. Whatever fruits of love of God one receives, if one distributes that, one will find that he has more than before! It is not just about absorbing ourselves but about GIVING the holy name. 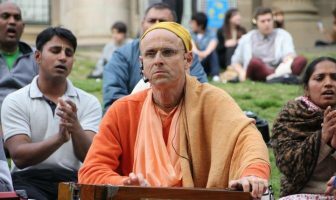 I am not just playing the harmonium, I am playing the people – sharing the holy name and taking people along. This is the meditation; this is the ecstasy, “When will my hairs stand on end in ecstasy? 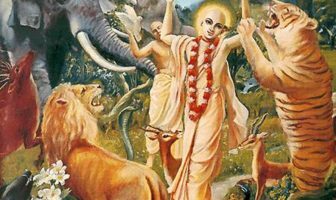 Is there any hope?” Caitanya Mahaprabhu wants to flood the whole world in ecstasy. The holy name is mystical. On one hand we try to chant nicely and concentrate, etc. and on the other hand, the holy name is Krsna and we get his darshan simultaneously. We could be humble if we would be honest and admit that we are full of faults. If only we were humble, we could take shelter of Krsna. 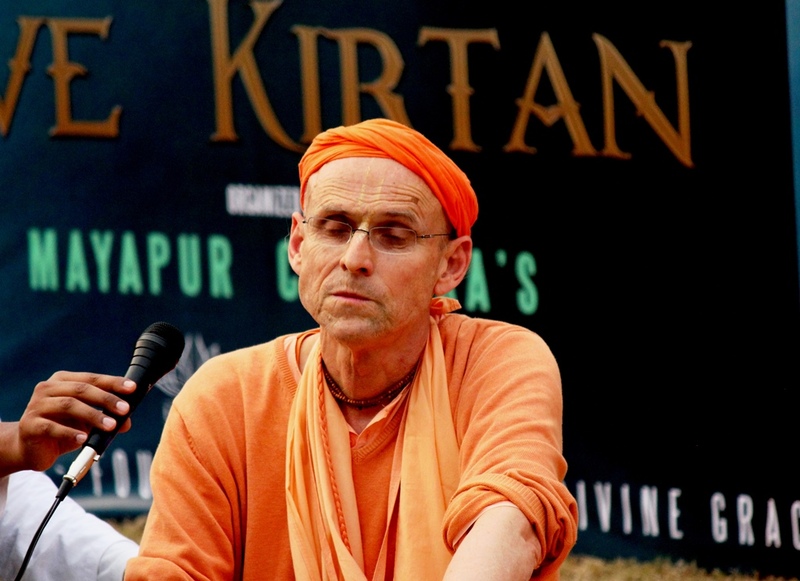 Kirtan is also for purification. We are different from a church. We cannot really repent; we are not that sorry actually. We say that it is just human to err and instead of repenting, we celebrate the glories of Krsna and have a happy festival.